Students all learn differently with different styles and techniques. Here are several suggestions to reach all type of learners. 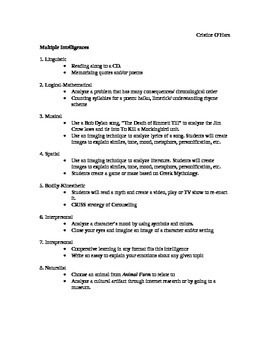 Each type of multiple intelligence is paired with a few activities.